I am excited to announce Early Registration is now OPEN for the Rubber Redneck STAMPede “Frosty Kisses” Edition 2013!! The early price is $19.99, that is under $2 per day for 14 projects, with PDFS and Video Tutorials until January 7th 2013. That is a $5 savings off the regular price!!! On January 8th the regular price for this class is $24.99. This is one event you DON’T want to miss!! These projects can be simply changed out to use any product you have on hand!!! If your a demo this class is for you! You can demo these projects for your workshops or do a stamp camp with them!! Along with the class I have 2 kit options available as well!! All kits will need to be purchased by January 7th, 2013 and will ship to you the week of January 14th. Please note, after January 7th the kits will no longer be available for this class due to shipping time. Also due to Stampin’ Up! policies I can only ship kits in the USA and no stamped images will be included in the kits. To view more details about the kit options, what is included and how you can get the “Frosty Kisses” Edition Class for only $10 please visit HERE. Don’t forget about my Customer Rewards Program visit HERE for the details. “Frosty Kisses” Edition 2013 will be your creative inspiration for all your Paper Craft Gifts, Stamp Camps and Classes!! This class will be sure to help you with all those Winter and Valentine’s Day Theme ideas and gifts for friends, family, and customers! We will be creating projects using some of the brand new products out of the spring catalog; as well as some current favorites! We will be creating projects featuring the following sets: Hearts a Flutter, Seasonal Sayings and Hearts a flutter Dies as well as products from the Stampin’ Up! Idea Catalog! You DO NOT want to miss this “Frosty Kisses” event! I’ve been busy creating and designing 14 days of FABULOUS Projects for you! Each project will have step by step instructions with photos in downloadable PDF format along with video tutorials!! If you have purchased my past online classes this is the same great value that you are accustomed to! Certain projects and tutorials will be available for individual sale at a later date. There will be 3D items, scrapbook pages, cards, color combo challenges, techniques and best of all PRIZES ranging from Stampin’ Up! product to free classes!! That’s right, all of this in 14 days for the “Frosty Kisses”online class!! WITH NO REPEATS!! 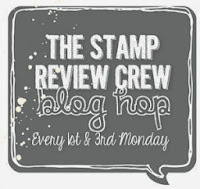 Only current Stampin’ Up! products will be used in these tutorials. Please note, I will be participating along in the color challenges. Anything I make for the color challenges I reserve the right to post to the public. Click HERE to check out The Rubber Redneck STAMPede home page for all the details!! If you have questions please feel free to email me catrules97@yahoo.com. Today's little share is another card I created to play along with a challenge for my Fall Fest On-line Class. It uses the stamp set called Perfect Preserved out of the Holiday Mini. The class is officially over but you can still purchase the class and get 14 fabulous and cute projects with step by step photos in a downloadble PDF along with Video Tutorials! I love making these little cards they are so much fun!! My base is Crumb Cake card stock. I cut a piece of Very Vanilla and River Rock card stock. I cut another piece of Very Vanilla card stock. I then took the stamp from Teeny Tiny Wishes Stamp Set; inked in Soft Suede and stamped onto the Very Vanilla card stock in the lower right hand corner. I cut a little piece of Soft Suede card stock and punched it out with the Scallop Trim Border Punch and glued it above the "Happy Thanksgiving". I cut a piece of Soft Suede card stock and ran it through the Big Shot with the Houndstooth Embossing Folder and glued it towards the top of the River Rock card stock. I cut a piece of Tangerine Tango card stock and ran it through the Big Shot with the Woodgrain Embossing Folder. I glued it to overlap the two pieces of Soft Suede card stock. I then glued all the layers to the first piece of Very Vanilla card stock that I cut. I wrapped a piece of 3/8 Soft Suede Taffeta Ribbon around the layers of card stock. I cut a little loop of the 3/8 Soft Suede Taffeta Ribbon and attached just below the other piece of of ribbon. I attached all the layers to the front of the Crumb Cake card. I cut a piece of Crumb Cake and Very Vanilla card stock. I took the stamp from the Perfectly Preserved Stamp Set; inked in Tangerine Tango and stamped onto the Very Vanilla card stock. I inked the stem in Soft Suede and stamped onto the Very Vanilla card stock. I attached it to the center of the card with Stampin' Dimensionals. I then added a Neutrals Designer Button with some Linen Thread tied through it. To finish it off I added some Pearl Basic Jewels. Acc.~ Big Shot, Woodgrain Embossing Folder, Houndstooth Embossing Folder, Scallop Trim Border Punch, Designer Buttons Neutrals, 3/8 Soft Suede Taffeta Ribbon, Linen Thread, Pearls Basic Jewels, Glue Dots, Stampin' Dimensionals.